BTCC | Just the ticket! Tickets are now on sale for all ten events on the 2016 MSA Dunlop British Touring Car Championship calendar. 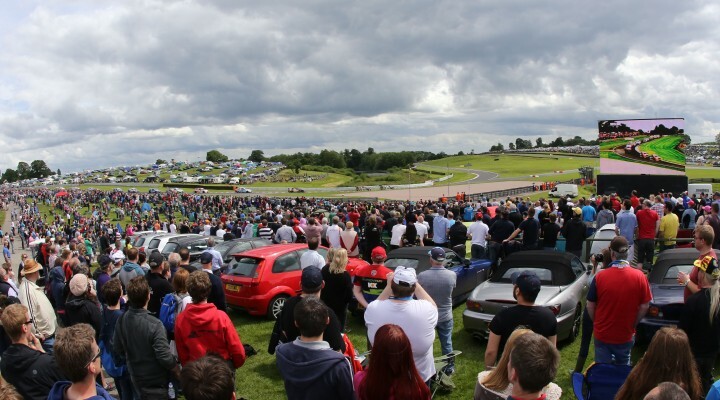 Over the course of last season, 382,000 fans came through the gates of the UKs top motor sport venues, spanning the length and breadth of the United Kingdom. This season is sure to be even bigger with more flat-out action, full grids and unrivalled fan access – we hope more people than ever before get to see the action first hand. The season’s bookended by meetings at Brands Hatch, Kent – the Indy circuit at the season-opener on 2-3 April and the GP layout to draw the campaign to a close on October 2. The paddock packs up from Brands and travels to Donington Park in Leicestershire, Thruxton in Hampshire, Oulton Park in Cheshire, Croft in North Yorkshire, Snetterton in Norfolk, Knockhill in Fife, Rockingham and Silverstone – both in Northamptonshire. All the circuits offer discounts to those purchasing tickets in advance, so head to btcc.net/calendar to find links to every circuit’s website to find one near you and to find timetables and tickets to take advantage of the savings. For the rounds you can’t make in person, every race day of the 2016 season will again be live and in HD on ITV4, plus for those in the USA and Canada – BTCC is broadcast on CBS Sports.